The Google Consumer Barometer is available to all online users, but from time to time Google releases a more in-depth analysis of the market. And with New Zealand data recently available – in the final part of our series we are looking at the online video and smart viewers. Who are the smart viewers? Smart viewer is a mobile viewer, as the survey shows that 70% of users watch online video on their smartphones. 94% of them enjoy this entertainment at home, presumably because of the WiFi connection being a lot more reasonable to use that mobile data. Entertainment is the main reason for looking at YouTube, Facebook and other platforms, but online video is slowly emerging as an informative channel too. So while sport, gaming and comedy content generate the views, it’s time to start thinking how you can provide more information about your products and services using this option. And if you are already thinking of including online video in your content strategy – remember to keep it short. The majority of clips watched in New Zealand are 5 minutes or shorter and are most likely to be watched in the evening. 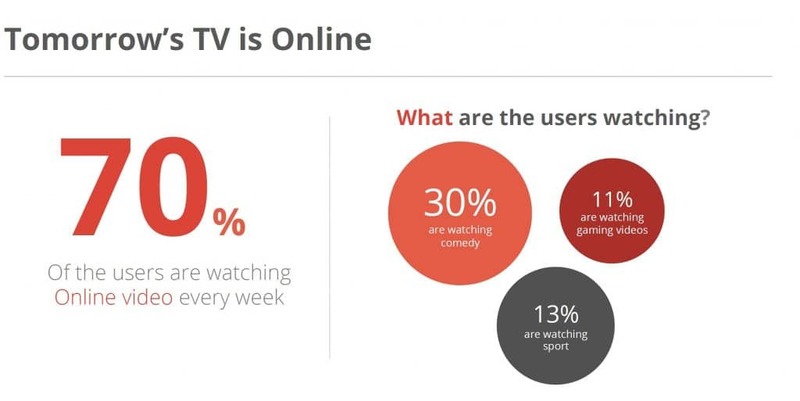 One of the most interesting findings regarding smart viewers is their focus. While TV watching is now almost always accompanied by another device, online video gets a lot more attention. This means streaming services are not only delivering reach on par (if not higher!) than the main TV channels – they can also deliver a much stronger engagement and recall rates. And YouTube or Facebook video campaign will not only be more cost-efficient. It will also be fully trackable, allowing you for very accurate ROI calculations – something offline channels will never provide in great level of detail. Read Part 1 and Part 2 from the Google Consumer Barometer.